A security guard suffered a horrendous death after five tons of unsecured glass panels fell off a truck. Eleven other people were injured in Bacolod City yesterday (Wednesday, May 3), including two children and an elderly man. The 44-year old victim has been identified as Victor Lasañas, who died after sustaining horrific injuries, particularly to his head. 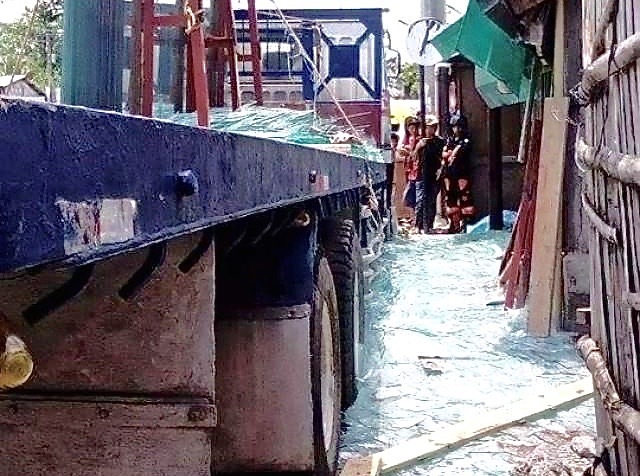 Police officer Leo Anthony Genita, who is investigating the accident, told GMA News that workers were loading about 50 pieces of glass panels onto a 10-wheeler truck. The panels, measuring 11 by seven feet, weighed at least five tons and were yet to be tied down when they fell. “The workers failed to put the materials properly on the storage rack thus, it collapsed,” Genita added. Because the truck was parked close to a row of houses, the victims had no means of escape. The owner of the glass company, Ivrahim Gallego, has offered financial assistance to the victims. Genita said loading of heavy materials such as glass panels should be done mechanically and so Gallego may face charges for negligence. How do you solve a problem like Korea? Can US and China sing to the same tune?